On Saturday, an Egyptian court sentenced two Al Jazeera reporters to death and handed down 25 years in prison for former Egyptian president Mohammed Morsi for leaking state secrets to Qatar. The ruling came down to confirm an initial sentencing in May after officials consulted the country's top religious leader, Grand Mufti Shawqi Allam. Eleven people, including a political activist, a flight attendant, and other journalists, were also sentenced in the trial. As confirmed by multiple news outlets, two Al Jazeera reporters, Ibrahim Helal and Alaa Sablan, were both sentenced to death in absentia. Helal is identified by Al Jazeera as the former director of news at Al Jazeera's Arabic channel. They identify Sablan as a simply an employee of the company until last year. Journalist Asmaa Alkhatib, who worked for the pro-Muslim Brotherhood Rassd News Network, was also sentenced to death in absentia. 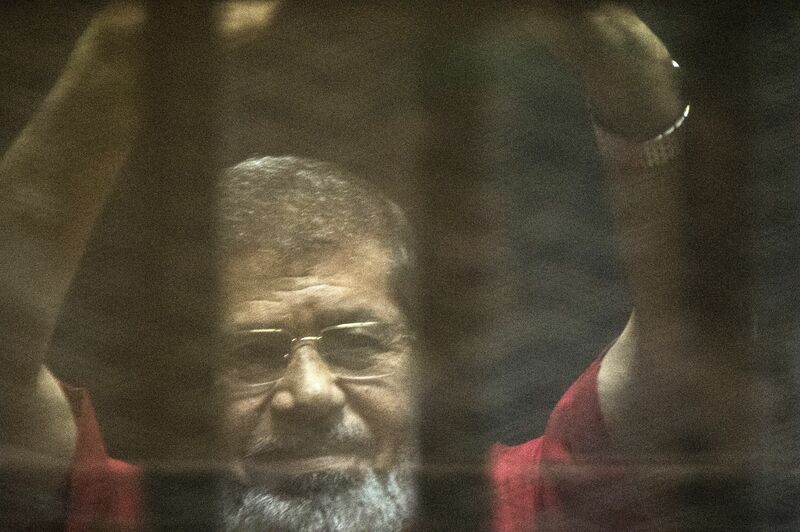 The reports coming out of Cairo vary: Some are reporting that Morsi received a life sentence, some are saying that the ousted president received a 15-year sentence. But according to the Associated Press, Morsi and two of his aides will serve 25-year prison sentences for passing state secrets to Qatar and to Al Jazeera when he was in office. Morsi and his secretary will also serve 15 years for another lesser crime. According to the Associated Press, the Mufti said of the people sentenced: "They are more dangerous than spies, because spies are usually foreigners, but these are, regrettably, Egyptians who betrayed the trust." We are extremely disappointed to hear this verdict and hope that Interpol and foreign governments, in the event that a warrant for extradition is issued, do not honour those warrants because this was a sham case that was politically motivated. There was extremely thin if any evidence tying these journalists to the alleged crimes that happened.